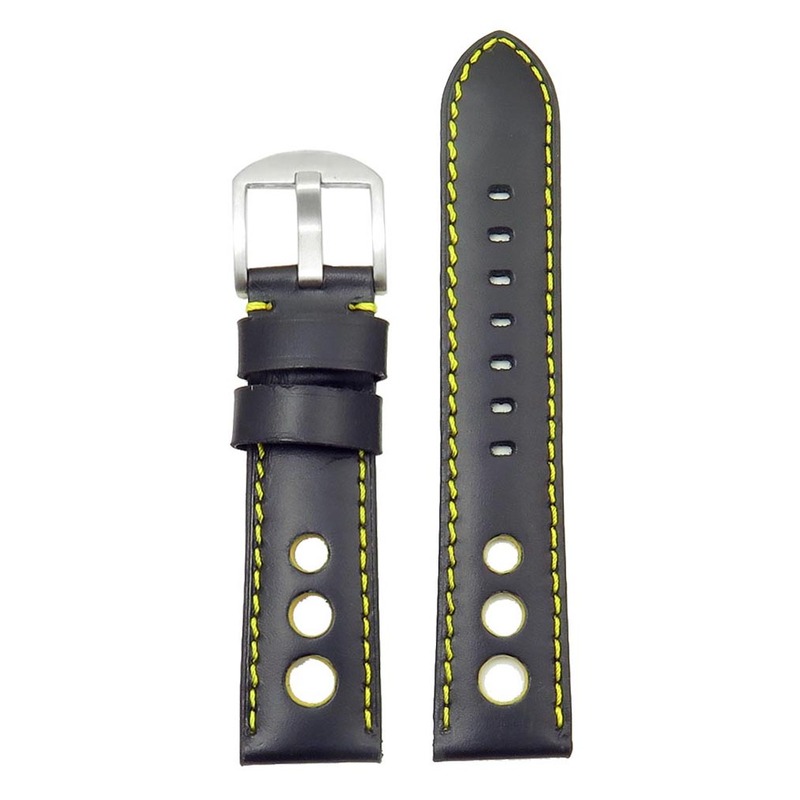 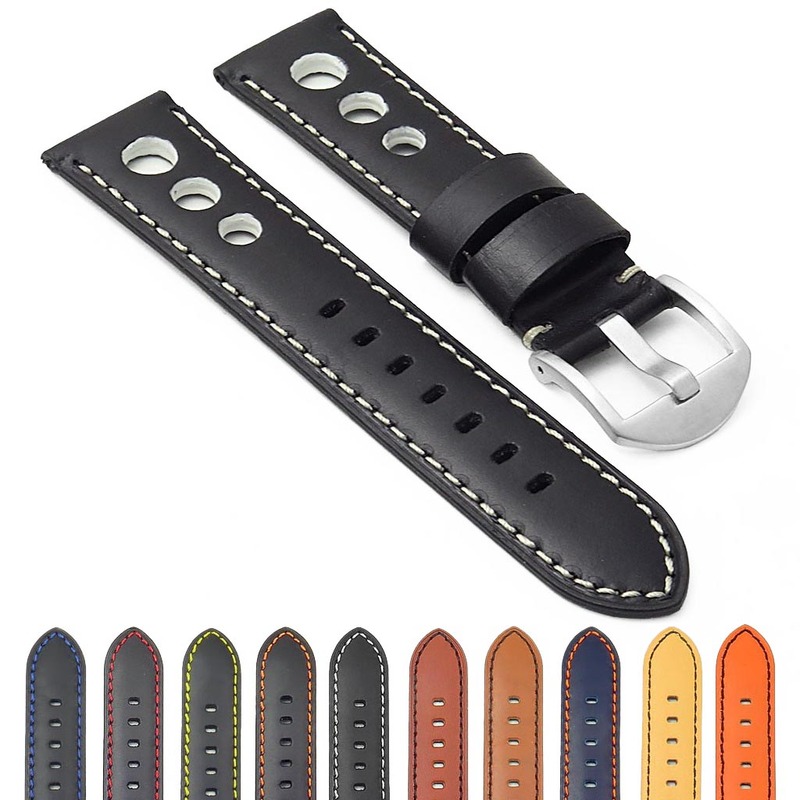 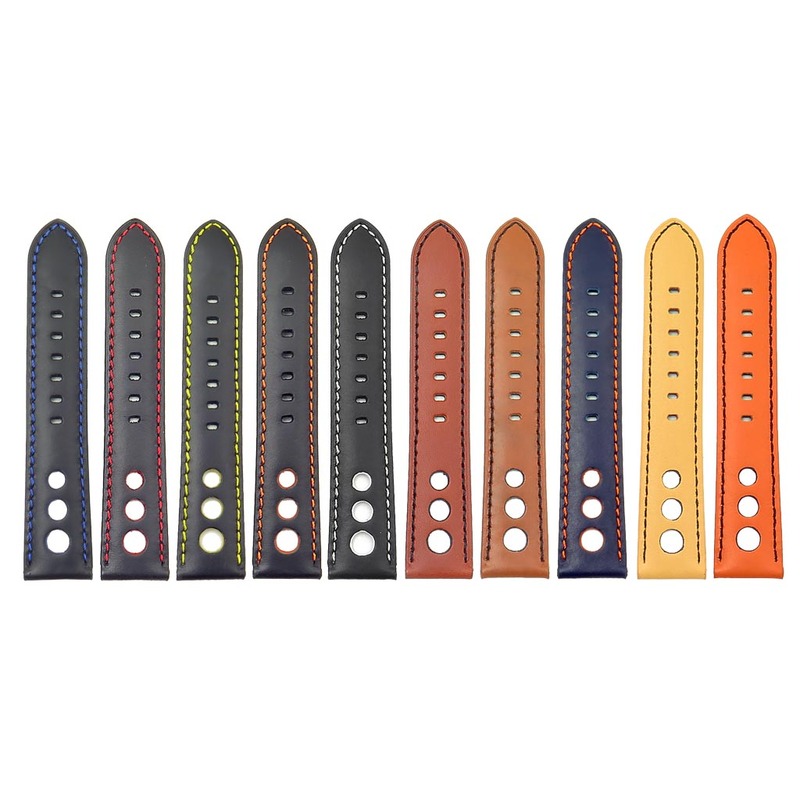 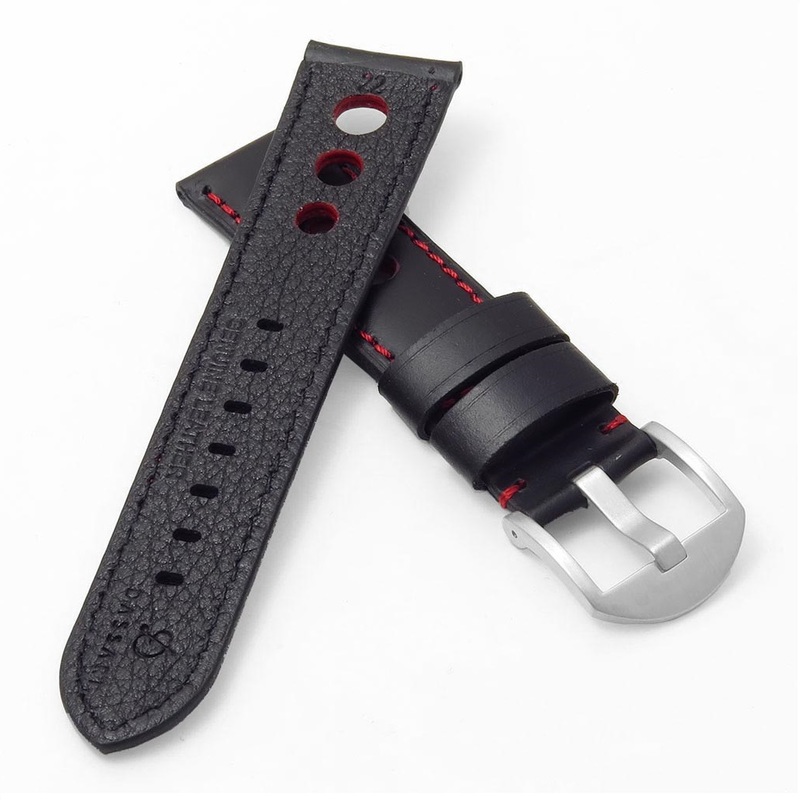 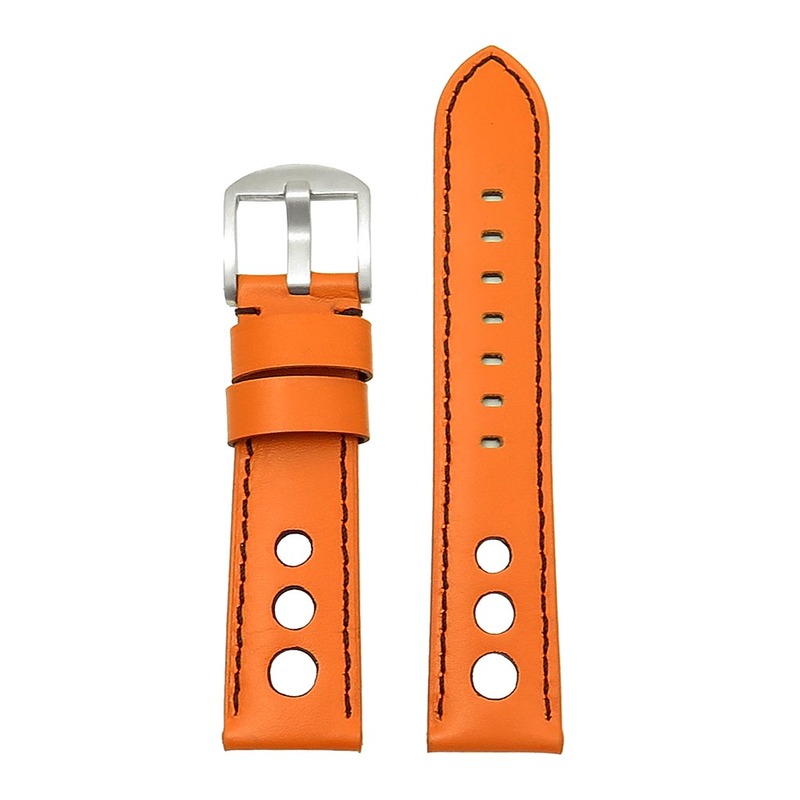 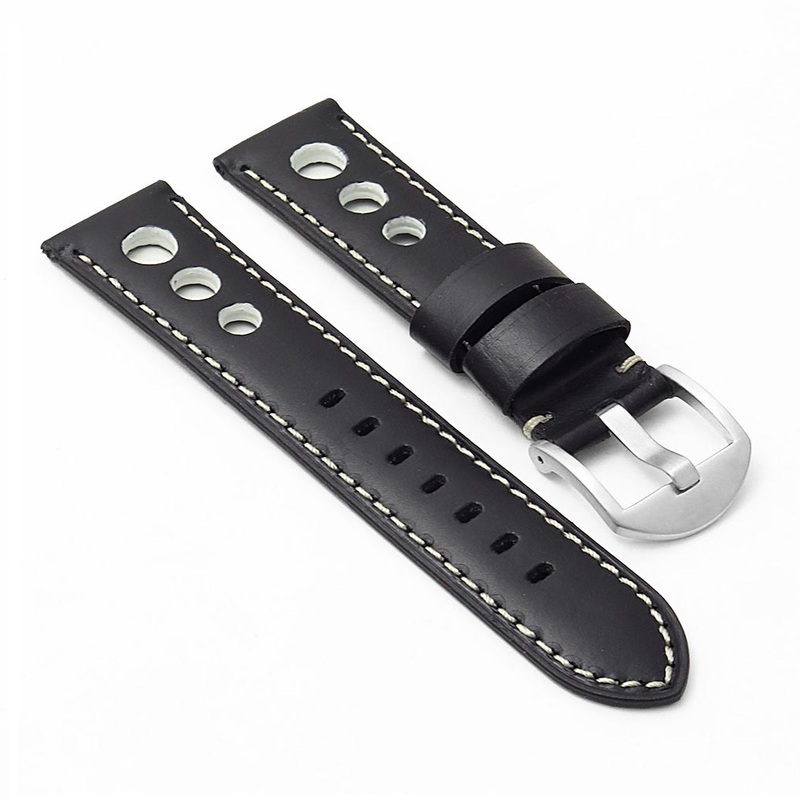 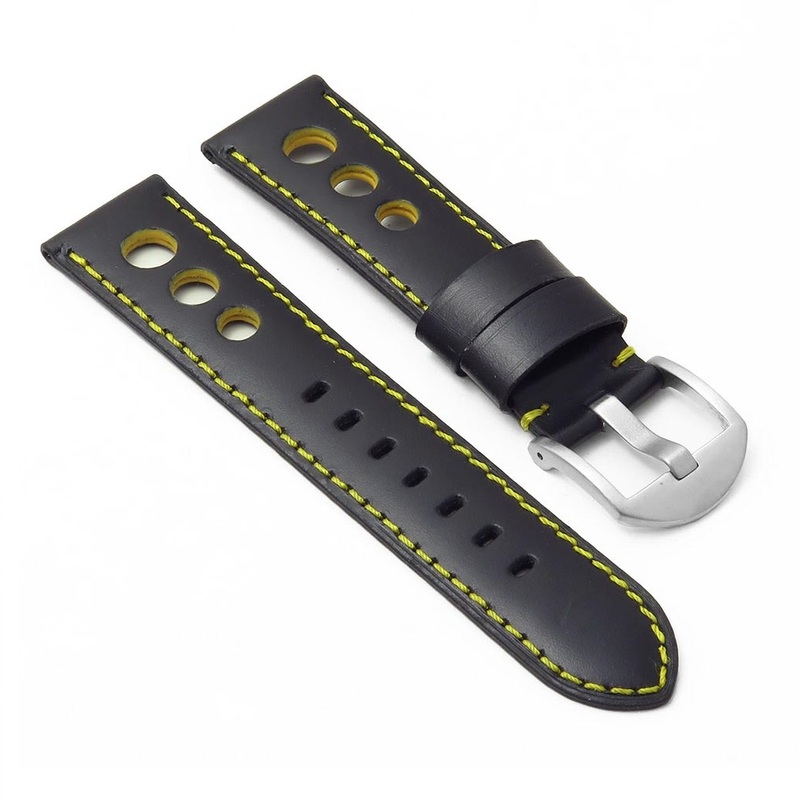 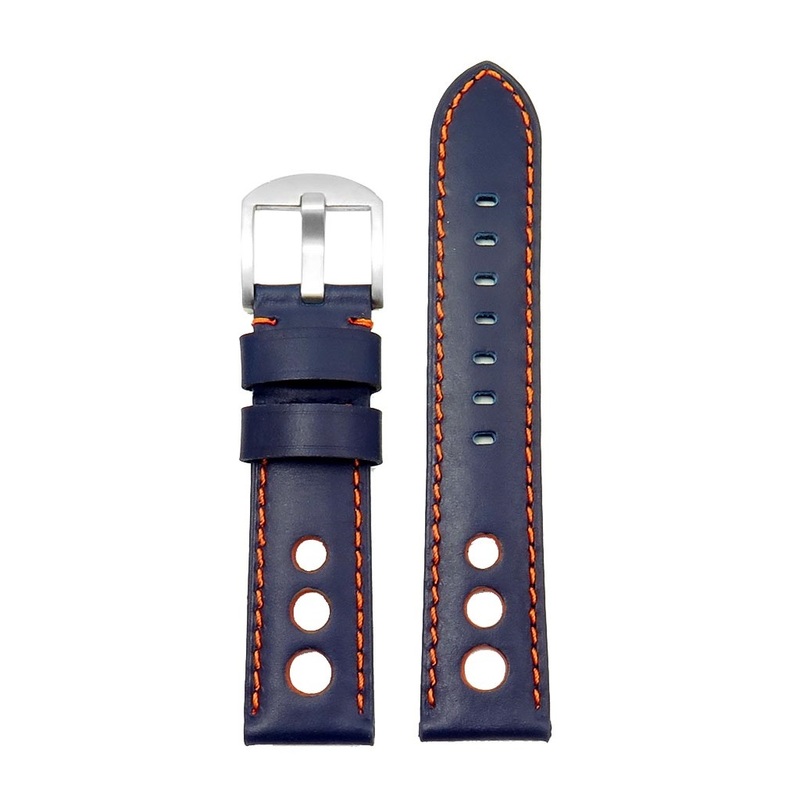 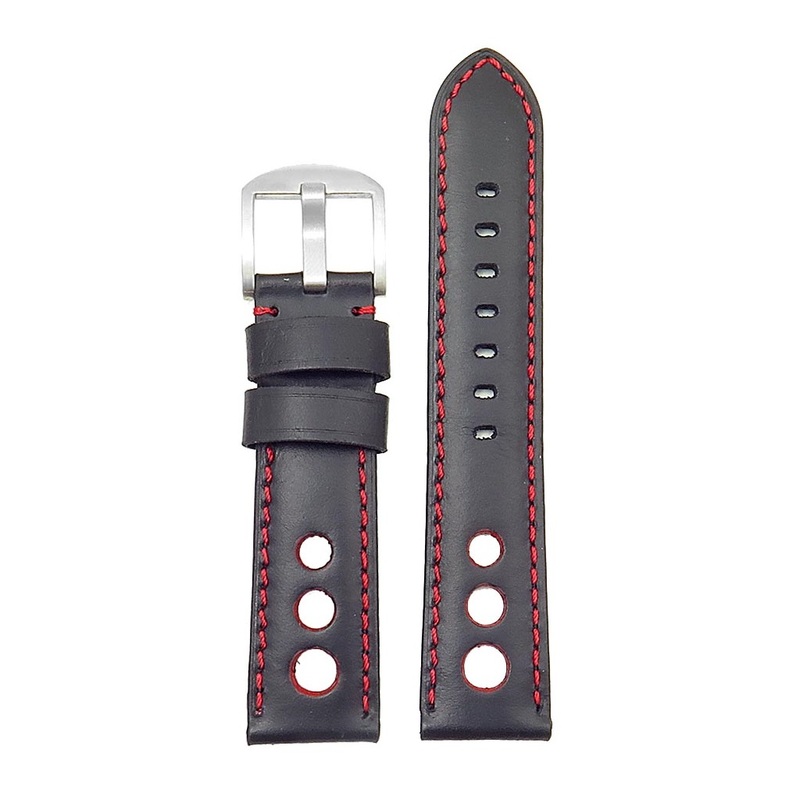 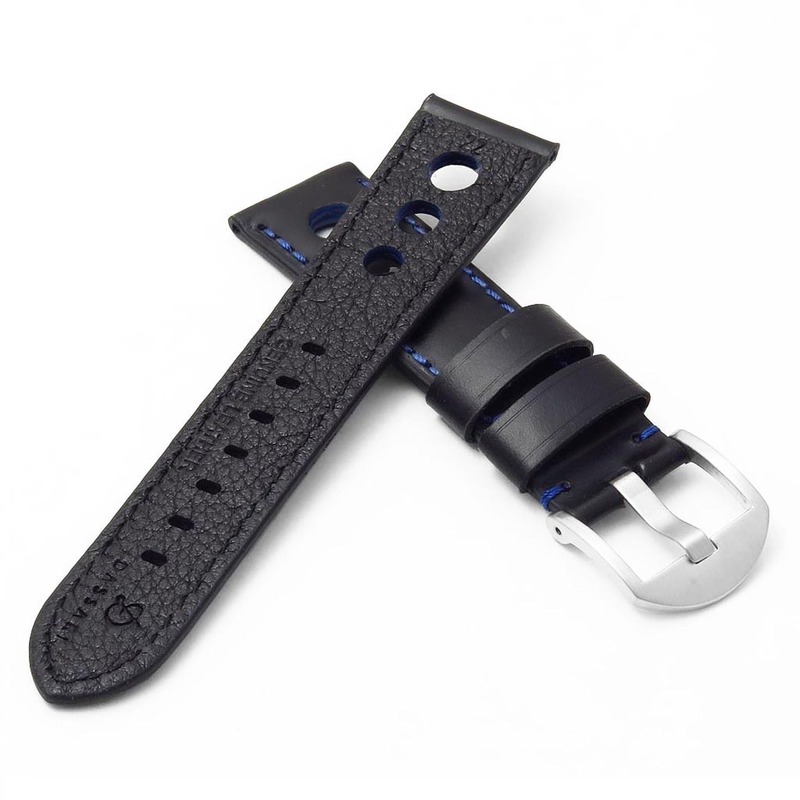 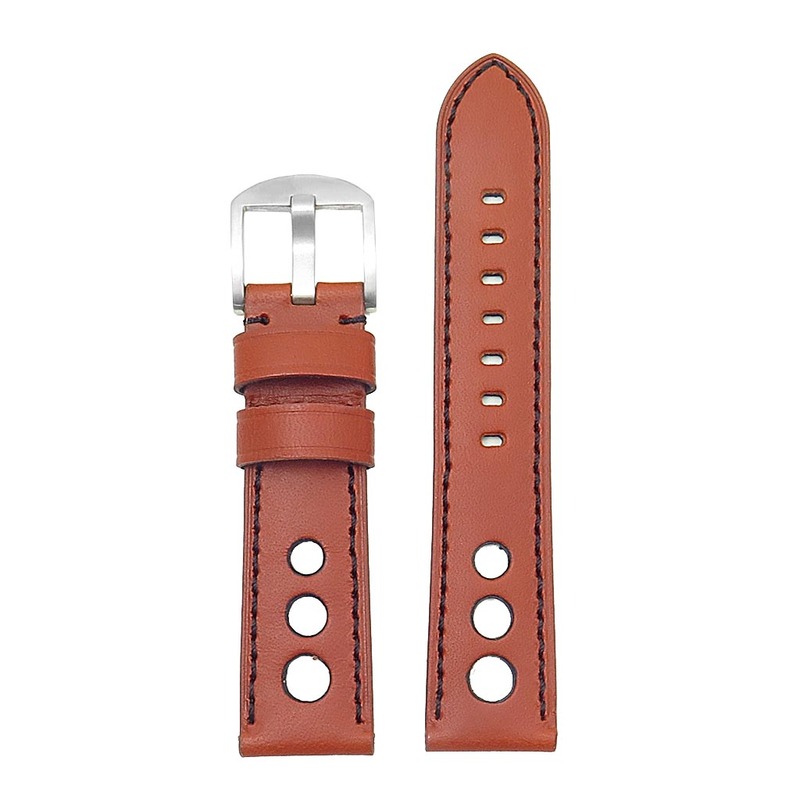 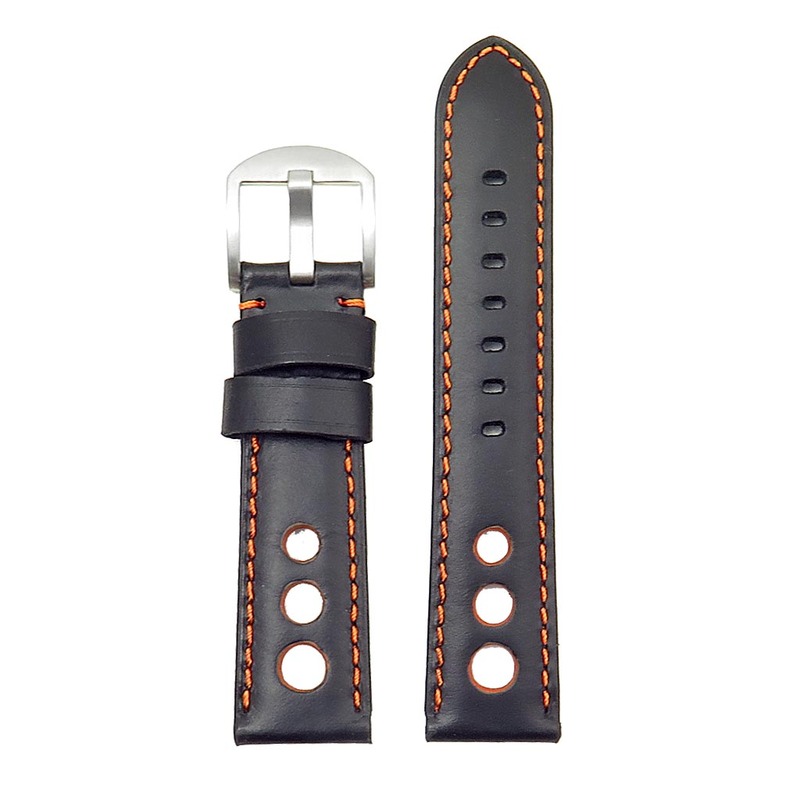 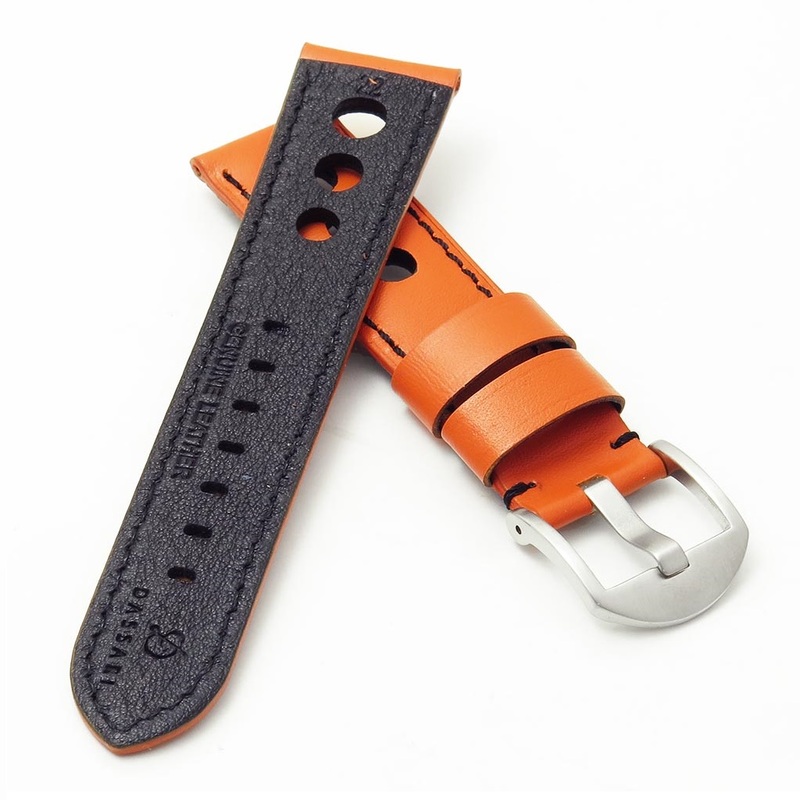 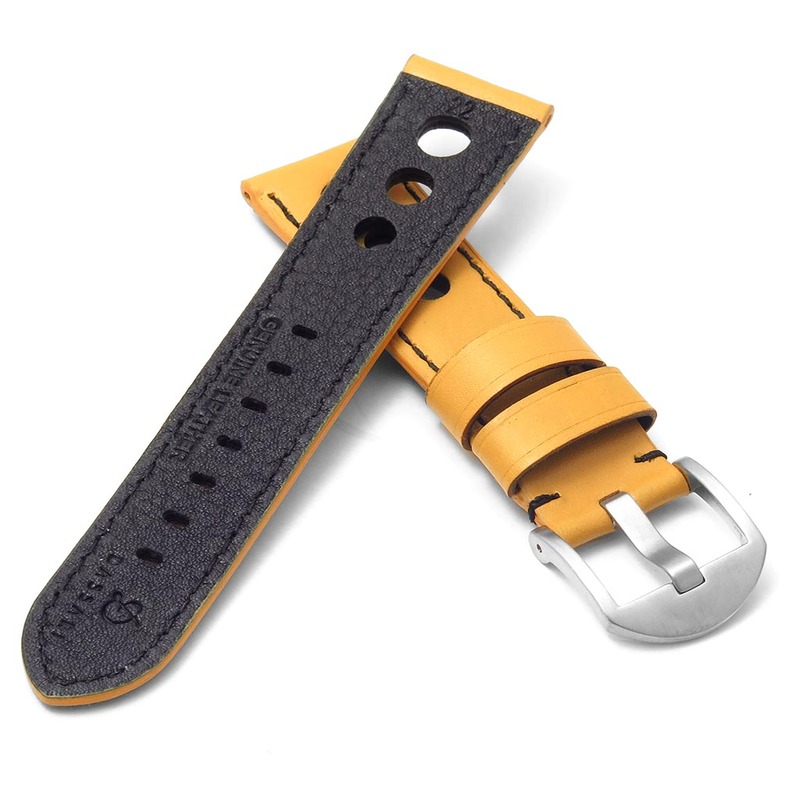 Classic rally strap with stylish contrast color detailing on the stitching and inner holes. 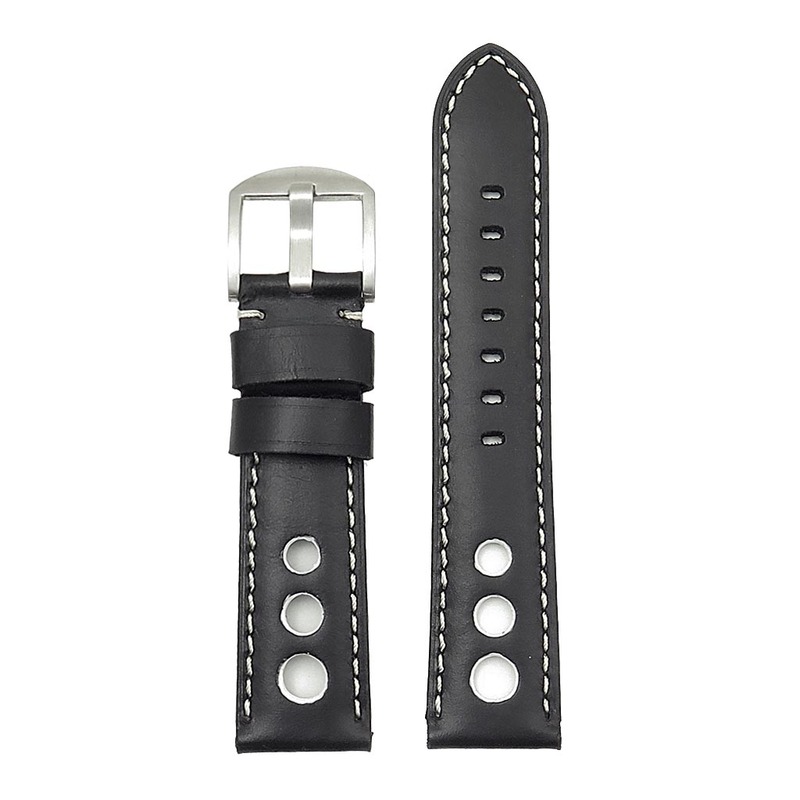 Constructed with Italian leather and finished with a brushed stainless steel thumbnail buckle. 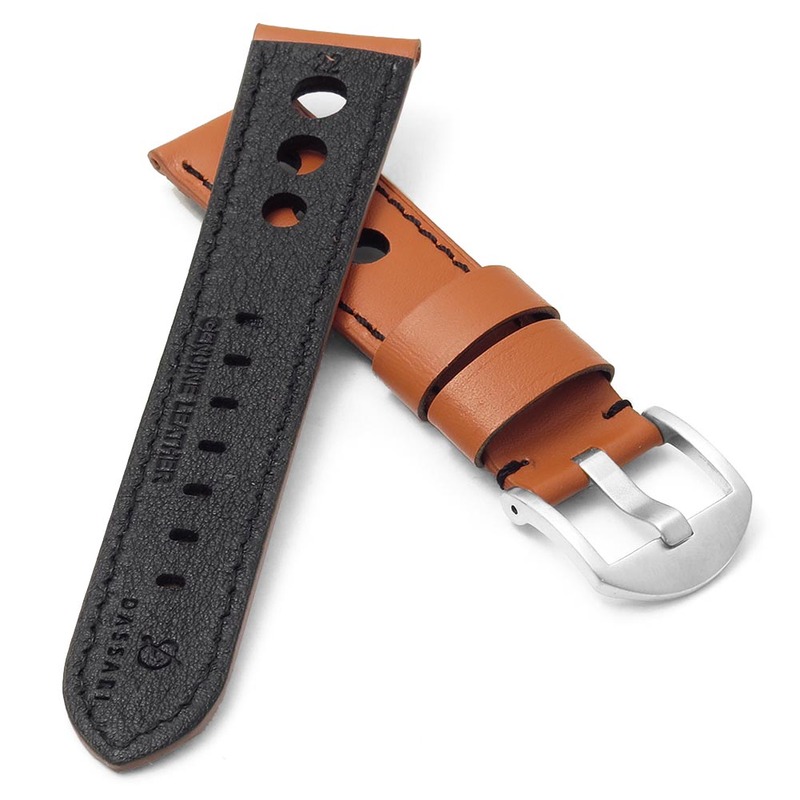 A nice soft leather strap. 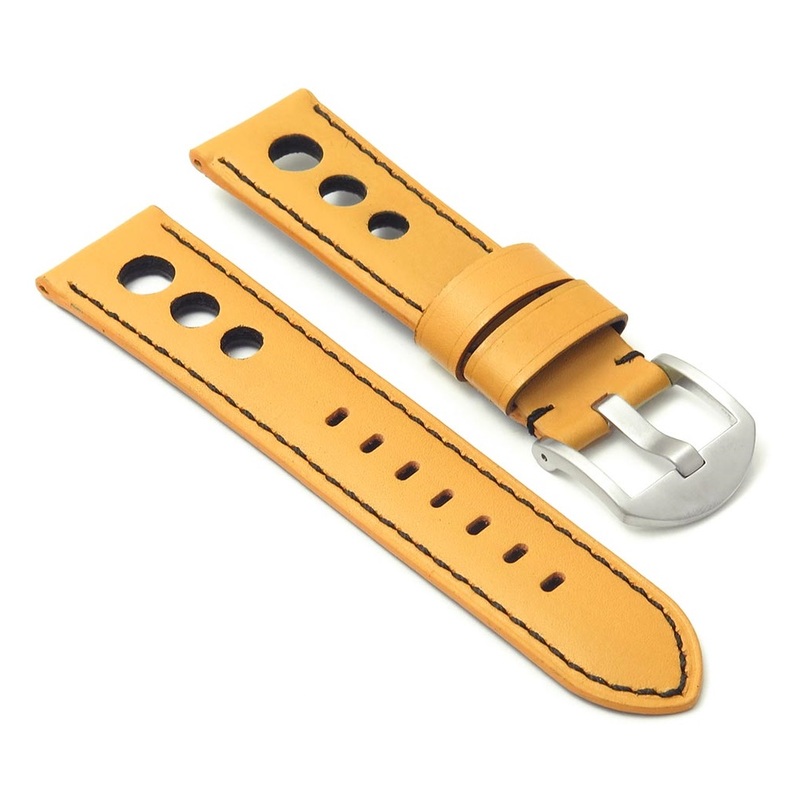 Looks good on my Seiko 5 and feels great. 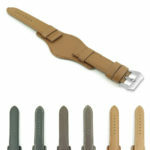 They seem to have mitigated the problem another reviewer mentioned by sealing the material in the hole cut outs. 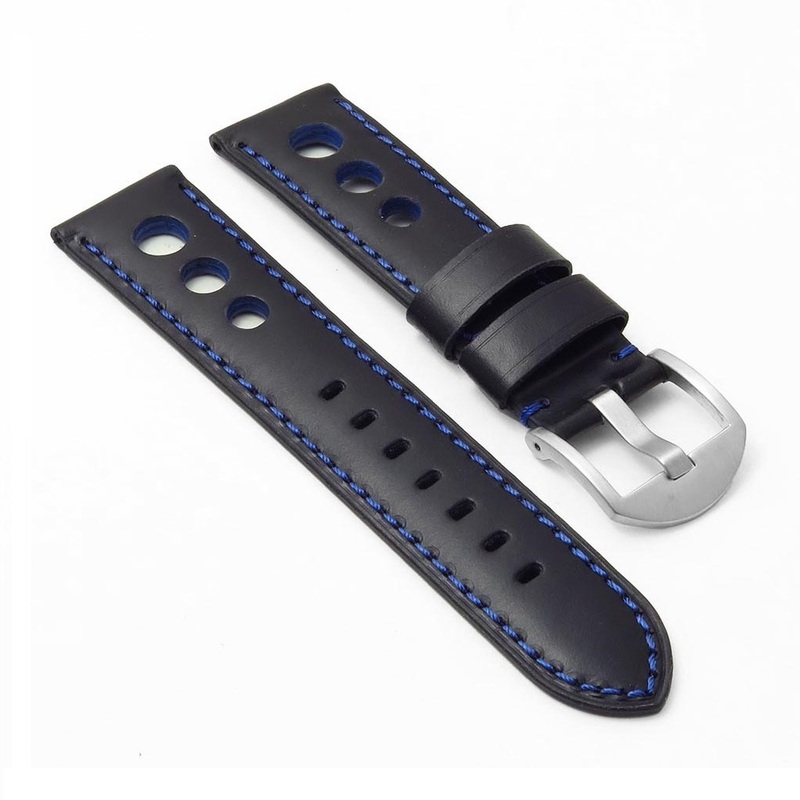 They don’t seem to be able to separate. 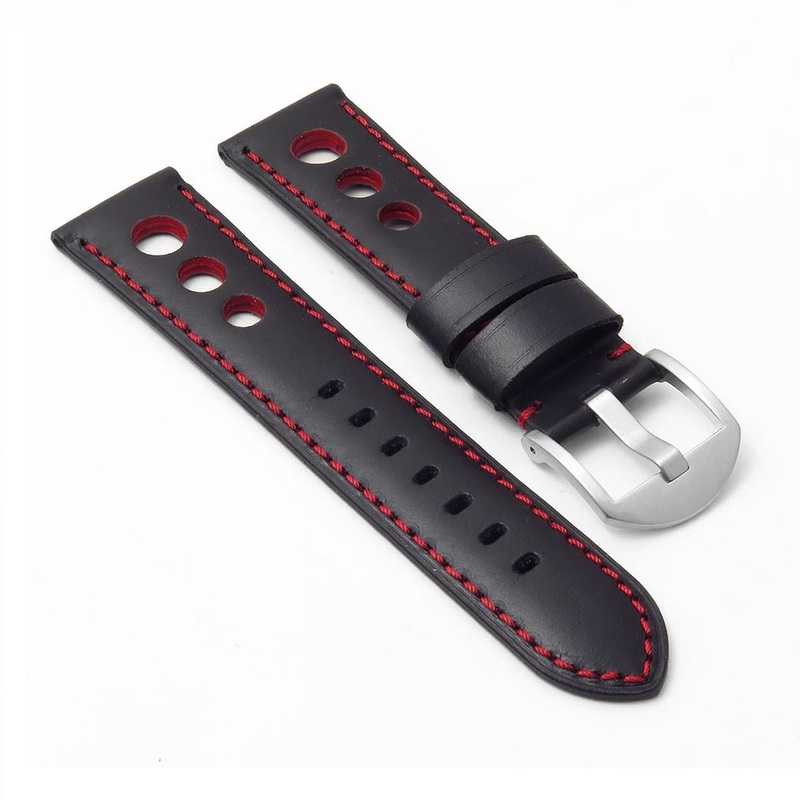 I was worried about that before it arrived, but it doesn’t seem to be a problem on mine. 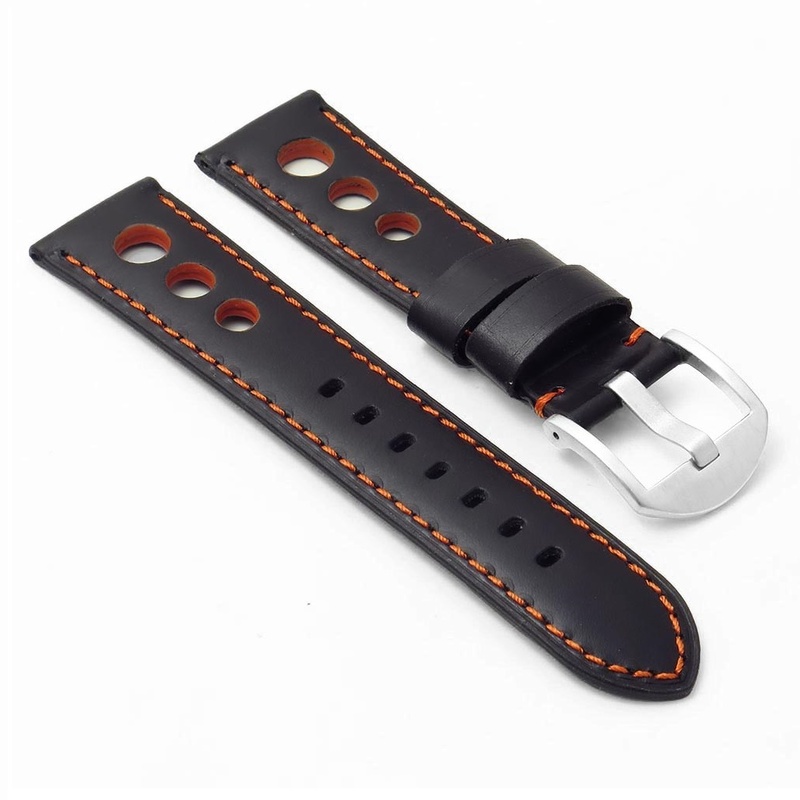 Good quality leather and construction. 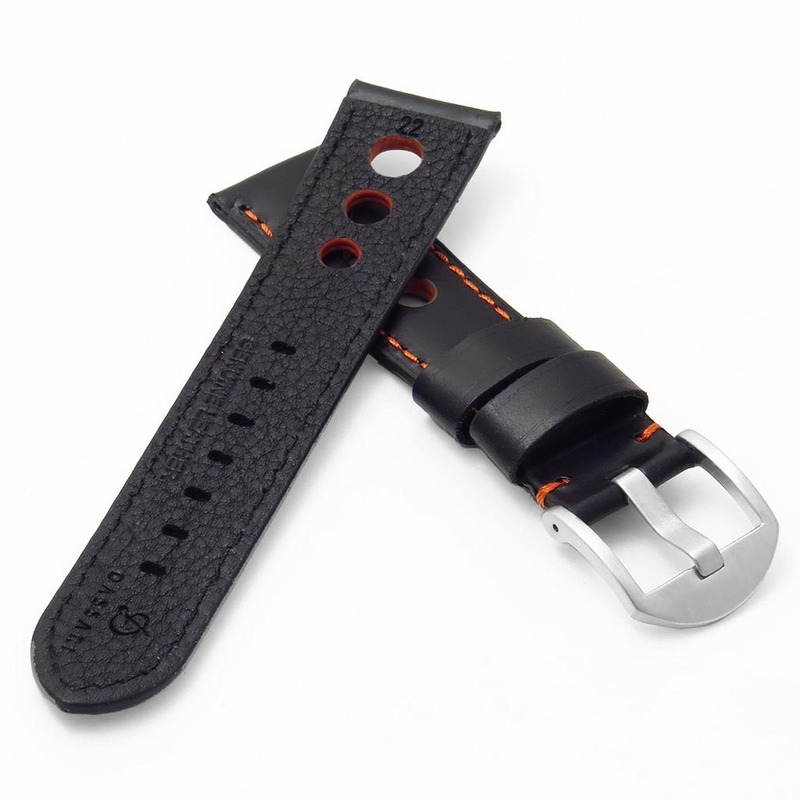 Looks very nice on my Citizen Navihawk. 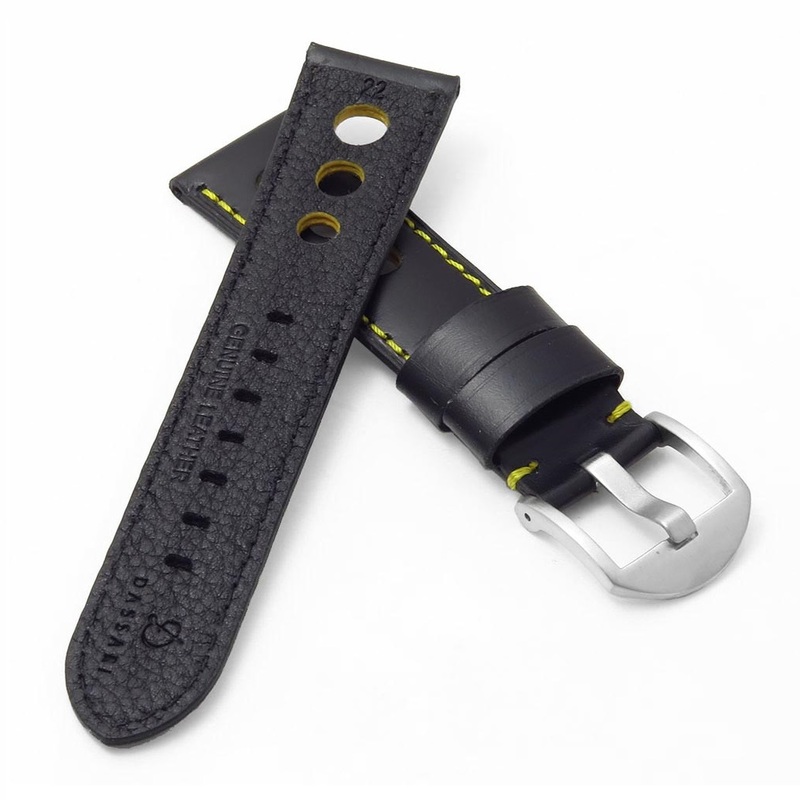 Let me preface this review by saying this 3-star rating is an “average” — I would give 1 star to the strap, but I have to also give 5 stars to StrapsCo customer service, they are fantastic. 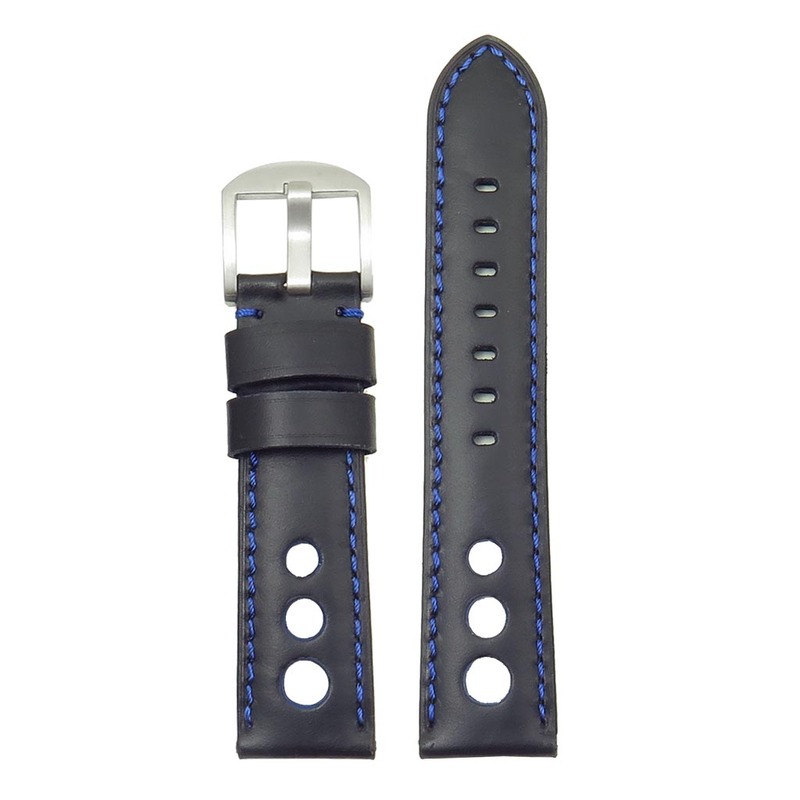 The strap: at first glance it looks like a very cool strap, very stylist, and the contrast color is very eye-catching. 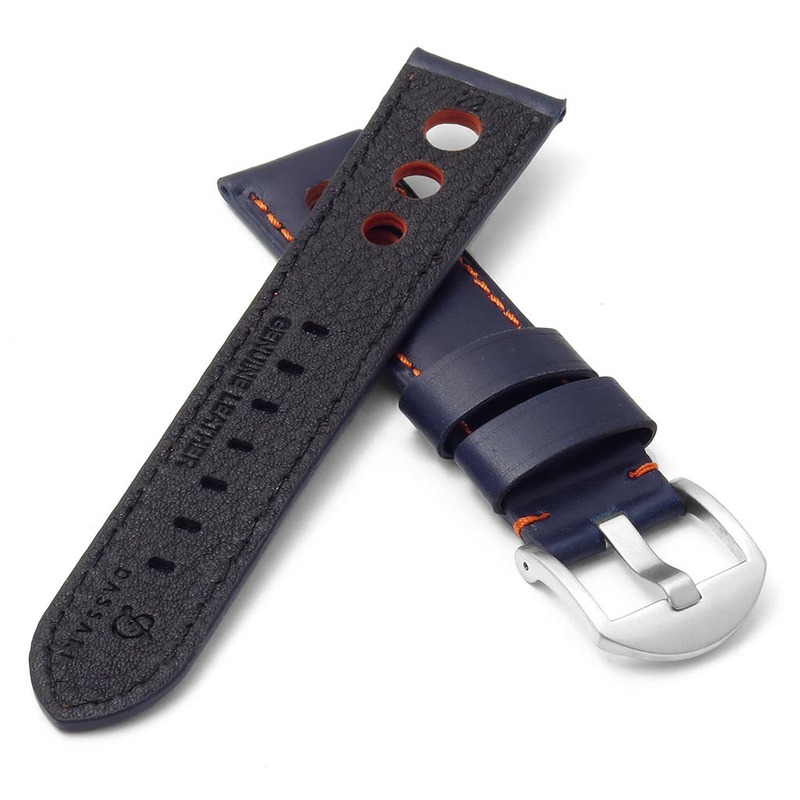 On the strap I received, the material inside the hole cut-outs appeared to be coming apart after just one wear; I don’t think this was just unique to the strap I received, I think it may be somewhat of an issue with the design itself (as if the material was left in an unfinished state..needs to be glued or stitched).. 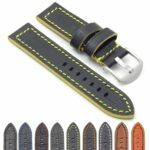 I contacted StrapsCo to initiate a return/exchange and their customer service was stellar. 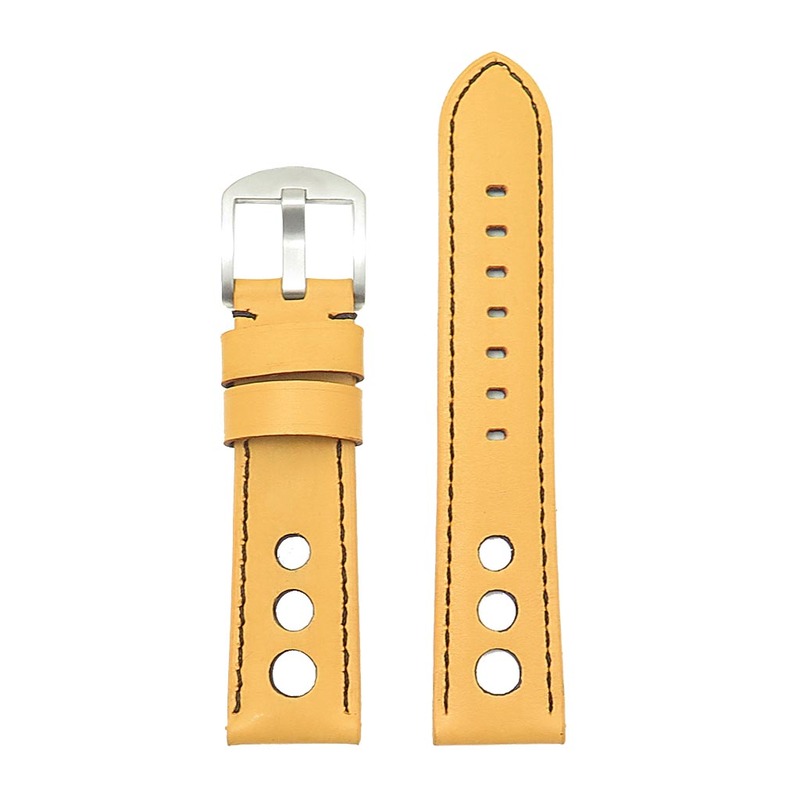 The rep asked me if there was another style I was interested in — I chose a different but similar strap and they sent it out immediately, with free shipping, and didn’t even charge me the $5 difference on the new strap which was more expensive. 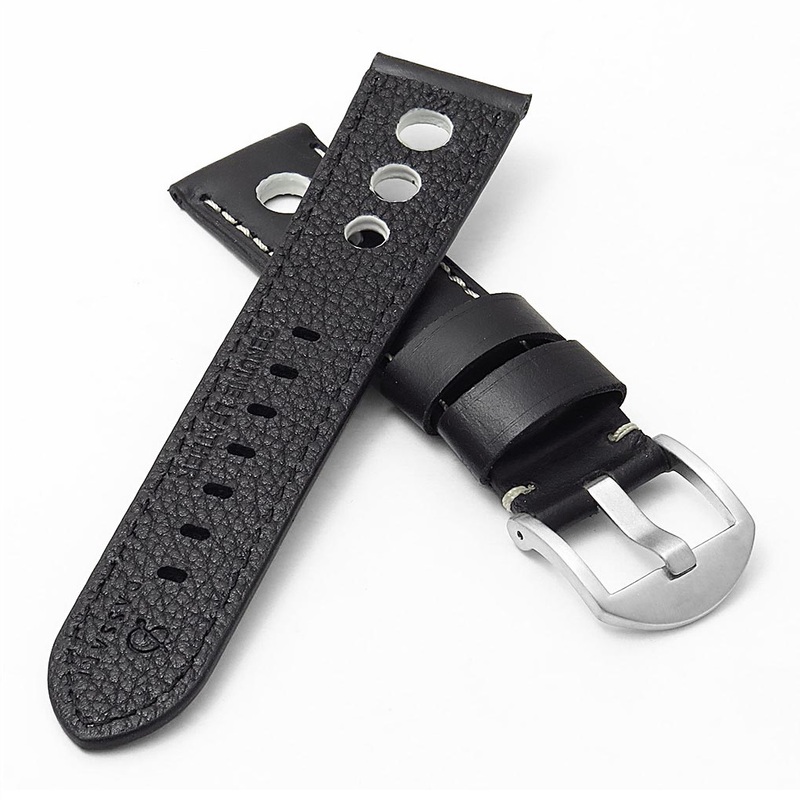 I will absolutely do business with StrapsCo again, and will definitely refer others to do so as well.